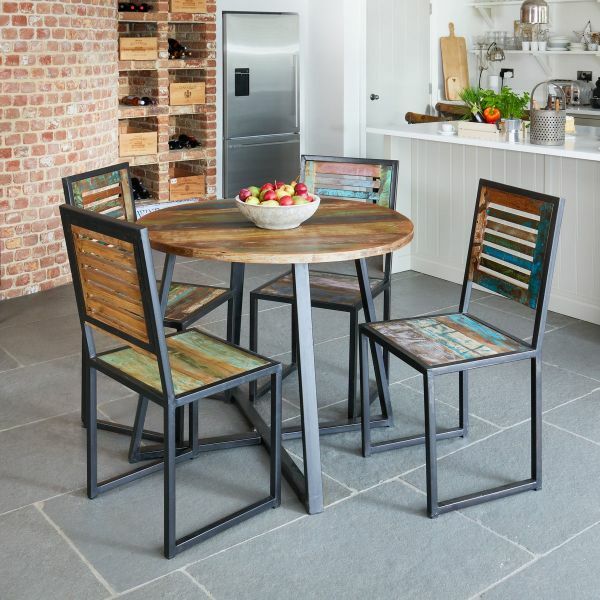 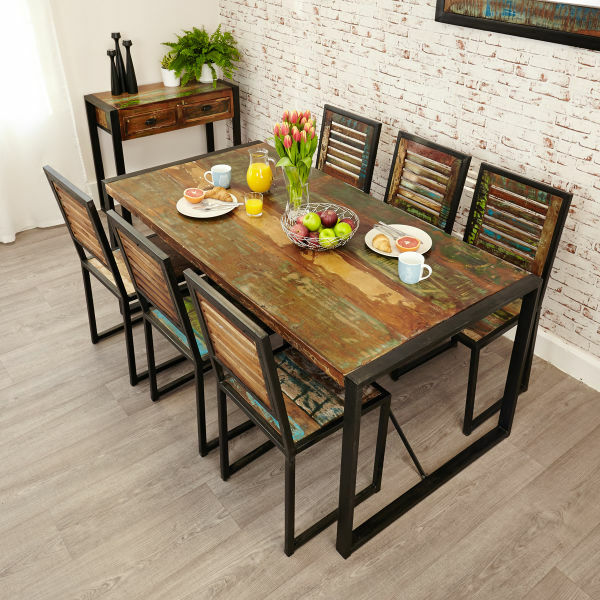 Recycled wood furniture is unique and that is what makes the Coastal Chic large dining set with four chairs so stylish and individual. 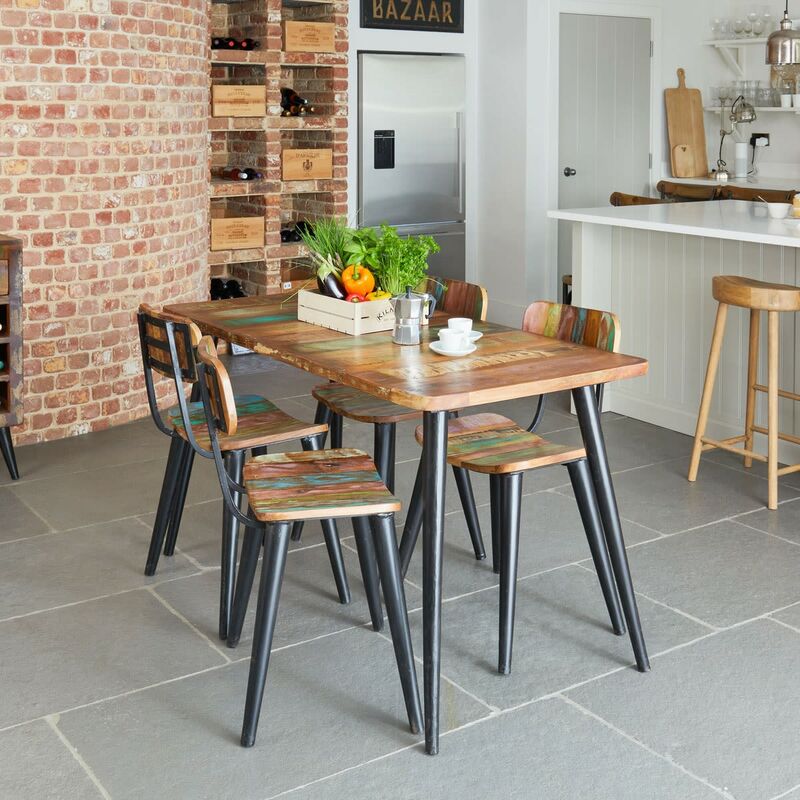 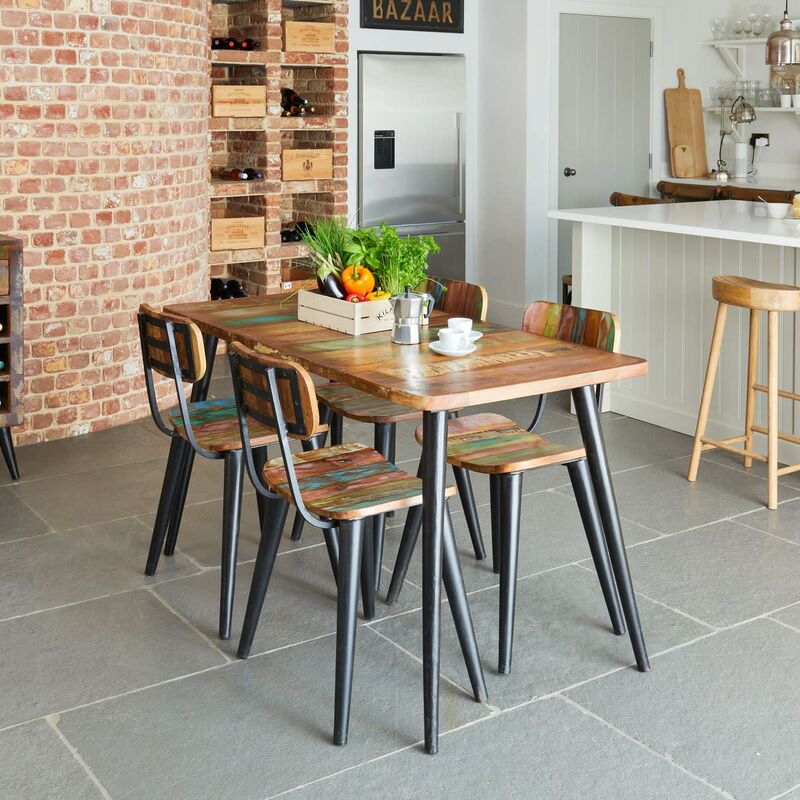 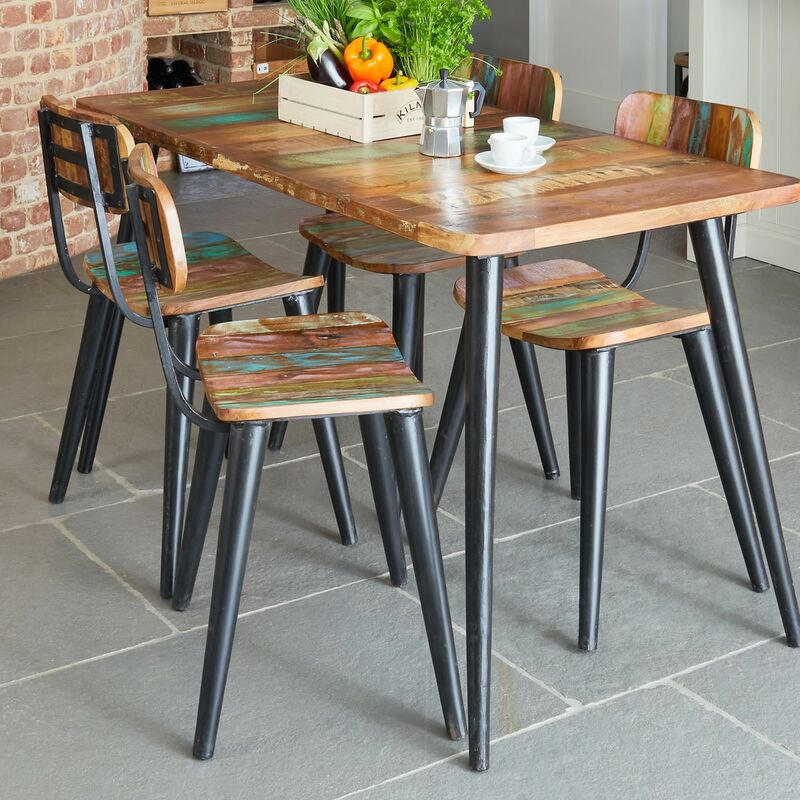 The hardwood used to create the range is sourced from reclaimed timbers from Southern India and finished with contrasting metal legs. 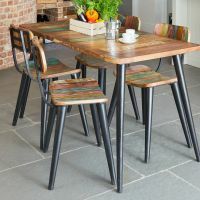 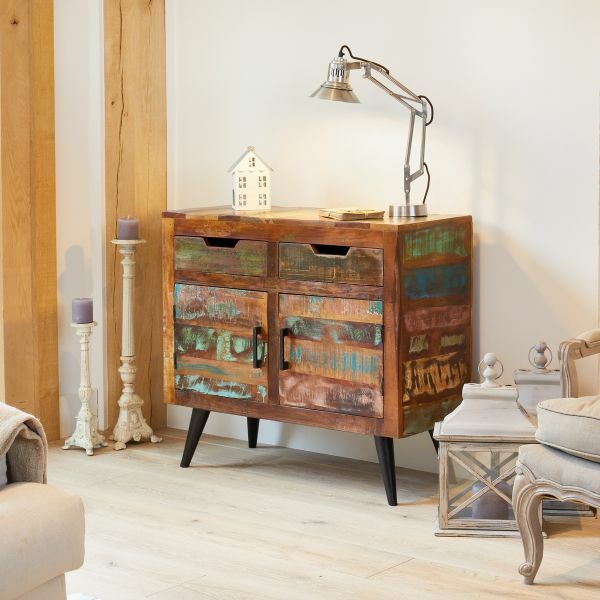 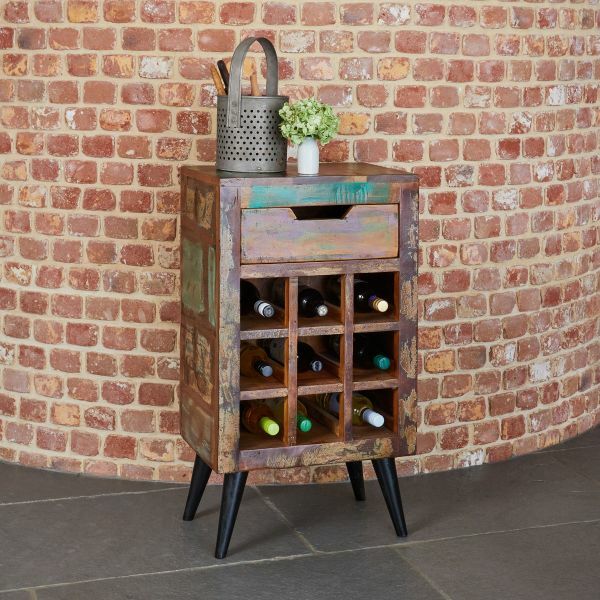 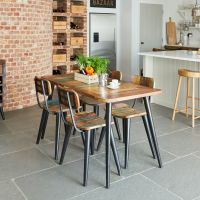 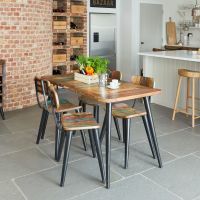 The reclaimed wood is given a resilient satin lacquer to highlight the beautiful colours in the timber and ensure that its hard wearing as well as practical. 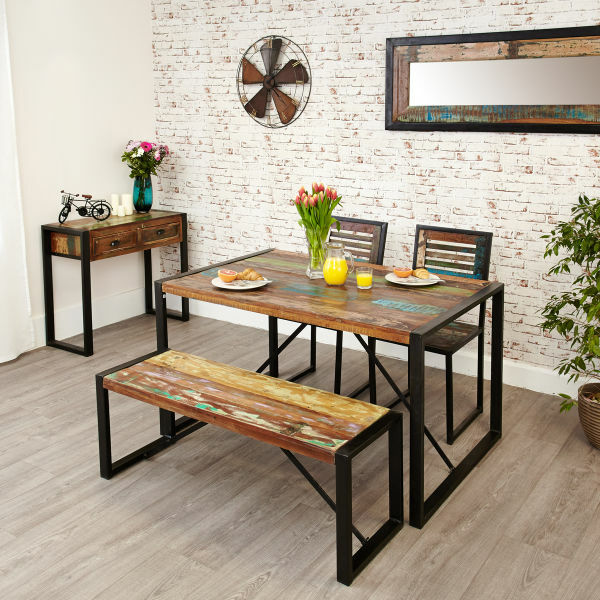 The Coastal Chic large dining set is a beautiful statement piece of furniture for any home.